A giant, revised, 80-page booklet covering the myraid shops, taverns, inns, temples, and barracks of the classic City-State. 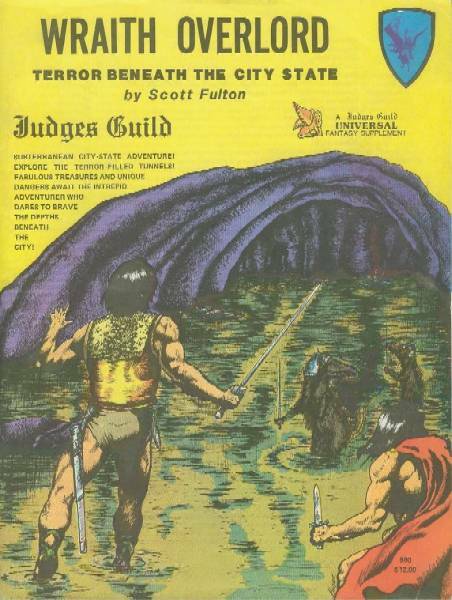 Long a favorite of D&D Judges and one of our best-selling items ever since it was first printed, the City-State includes two 22x34 maps (one Judge, one Player) of the great walled City, plus 4 dungeon levels under the City and 5 levels of Sunstone Caverns. Also shown in all its Dwarven glory is Thunderhold, one of the northern allies of the Overlord with Judge and Player Maps for it too. Incredibly detailed right down to the statistics and character of each barmaid and the latest rumor she has heard, this product forms the basis of the Judge's Campaign, providing the base of operations for player adventures. Indeed, the City itself is an adventure. 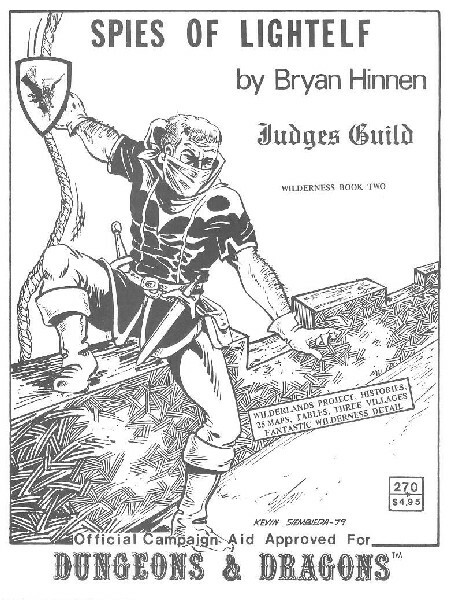 The center-piece of the Judges Guild Campaign Universe, this Playing Aid has been Created and Approved for use with D&D. Six 17"x22" maps (three Judge, three Player) printed on high-quality brown pebble-grain stock. In each three map set two are printed on both sides, giving each set a total of five hex-grid maps of the wilderness areas of the City State. Valley of the Ancients, Valon, Tarantis, and the Barbarian Altanis. 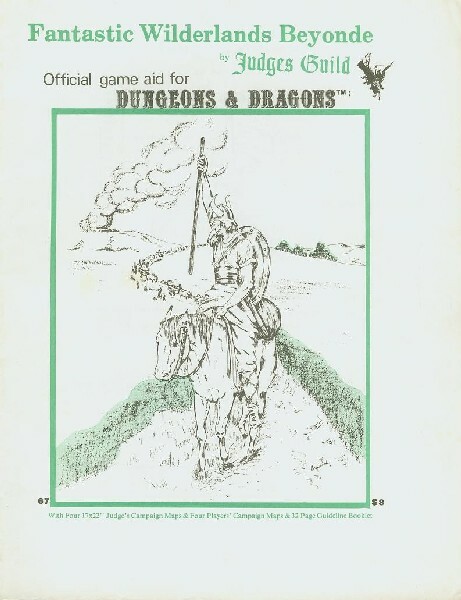 This playing aid includes s 32-page booklet on the villages, populations, leaders, technological levels, citadels and castles, and wilderness monster lairs of these areas. The first of our wilderlands system, this covers the settlements of the City State of the Invincible Overlord, Tegel Manor, Modron, Thunderhold, and Haghill. 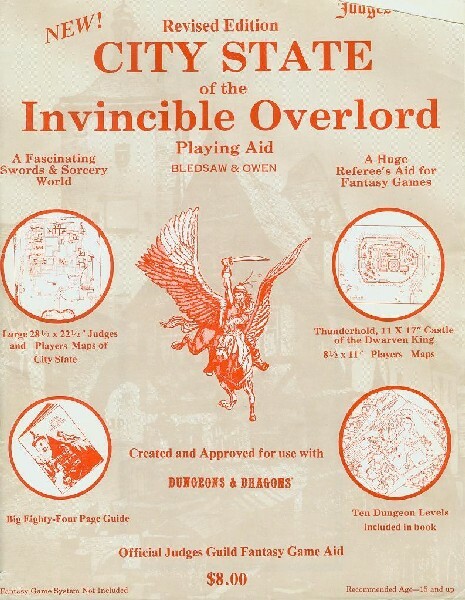 This Playing Aid has been Created and Approved for use with D&D. Four 17"x22" maps (2 Judge, 2 Player) printed on both sides of high-quality brown pebble-grain stock, giving each set a total of four hex-grid maps of the wilderness areas of Lenap, Elphand Lands, Desert Lands, and the Sea of Five Winds. 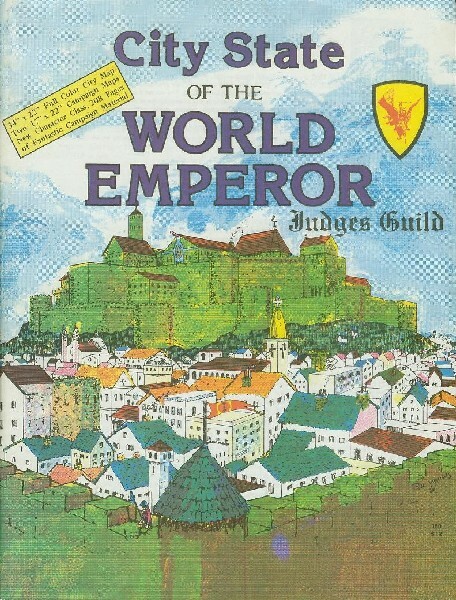 This product includes a 32-page booklet on the villages, populations, leaders, technological levels, citadels and castles, wilderness monster lairs, and resources of the area. The second of our wilderness system, this covers the settlements of Lenap, Tlan and the six Holy Cities of the Shifting Dunes. This playing aid extends the areas already covered on to the west, and has been officially approved for use with D&D. Four 17"x22" maps (2 Judge, 2 Player) printed on both sides of high-quality brown pebble-grain stock, giving each set a total of four hex-grid maps of the wilderness areas of Ament Tundra, Ghinor, Isles of the Blest, and the Ebony Coast. There are over 300 islands detailed on the maps and described in the accompanying 48-page booklet, which also covers the area's resources, wilderness monster lairs, villages and castles, technological levels, civilizations and more. The third of our wilderness system, the Magic Realm covers the settlements of Oricha and Chim and extends the areas already covered to the south, far into the vast reaches of the Sea of Five Winds. It has been created and officially approved for use with D&D. One 34"x22" full color city map, two 17"x22" campaign maps (Judge, Player), new character class, and 208 pages of Fantastic Campaign Material in 3 books. Book 1 - Guidebook to Map 6 is 48p. Book II - Guidebook to Shops is 80p. 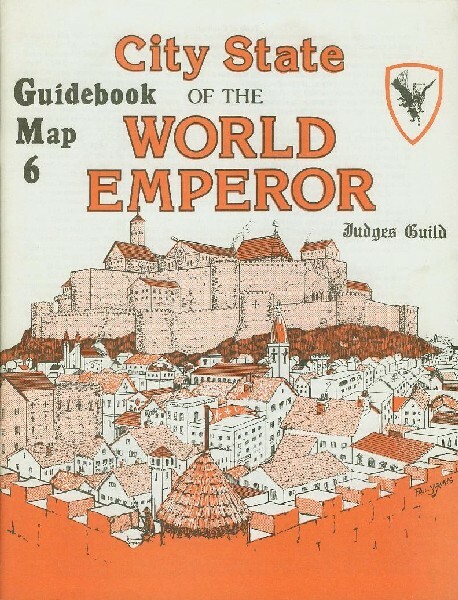 Book III - Guidebook to City is 80p. Four 17"x22" maps (2 Judge, 2 Player) printed on both sides of high-quality brown pebble-grain stock, giving each set a total of four hex-grid maps of the wilderness areas of Isles of the Dawn, Southern Reaches, Silver Skein Isles, and Ghinor Highlands. 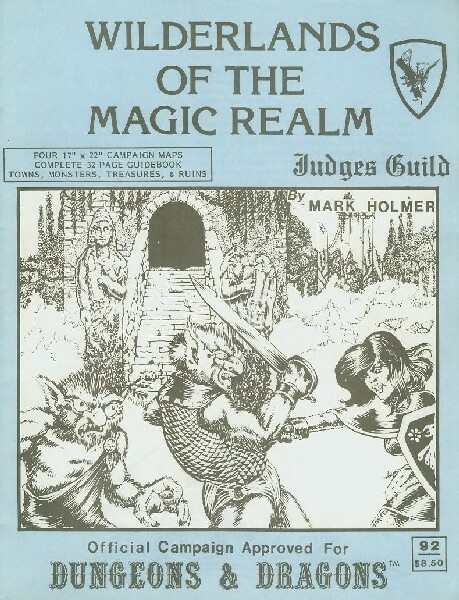 The 32-page guidebook describes in the detail the areas resources, civilizations, wilderness monster lairs, villages, castles and ruins, and relics. 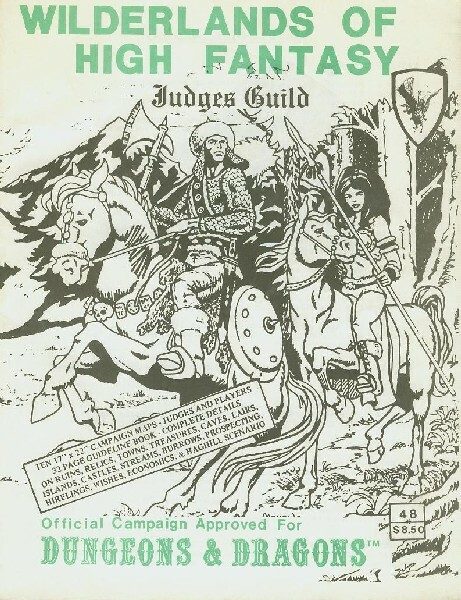 The fourth of our wilderness system, Fantastic Reaches completes the initial 18 map set of the Judges Guild Campaign World. 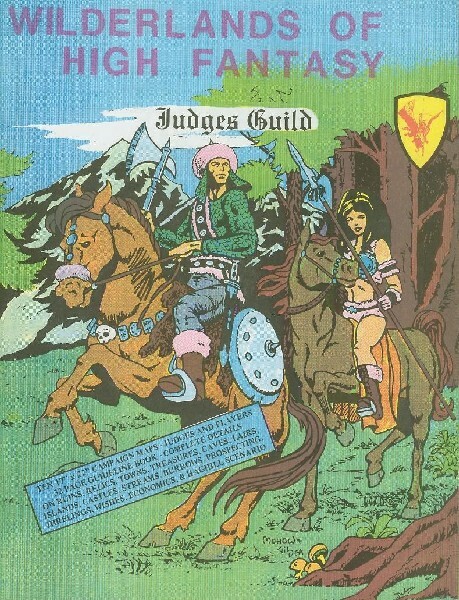 It has been created and approved for use with D&D. Danger lurks below! 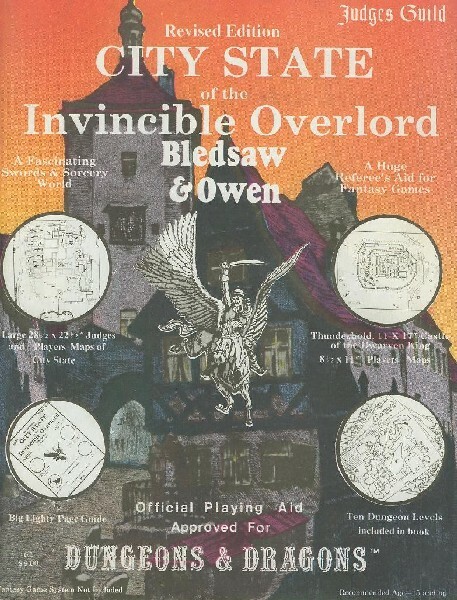 Beneath the City State of the Invincible Overlord lies a maze of tunnels and sewers populated by criminals, fugitives, and a host of strange creatures. This massive product includes many NPCs, multiple underground areas to be explored, and several new monsters. 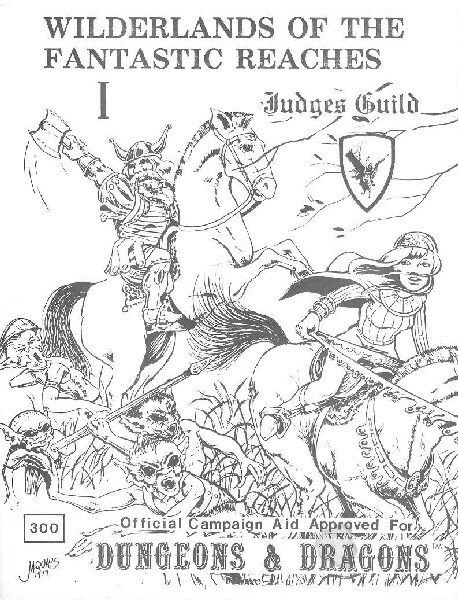 This module contains a 112-page book and a huge, 22"x34" map, with maps and text figured down to the last detail for the most exacting Judge. Wraith Overlord is an absolute must for anyone campaigning in the City State. Hexes: Byrny, 2112-15 2211-15 2311-15 2411-14 2511-14 Trollslore. Includes Mini-dungeon, Histories, Descriptions, NPCs, Maps, and Tables for two villages and 476 square miles of wilderness. 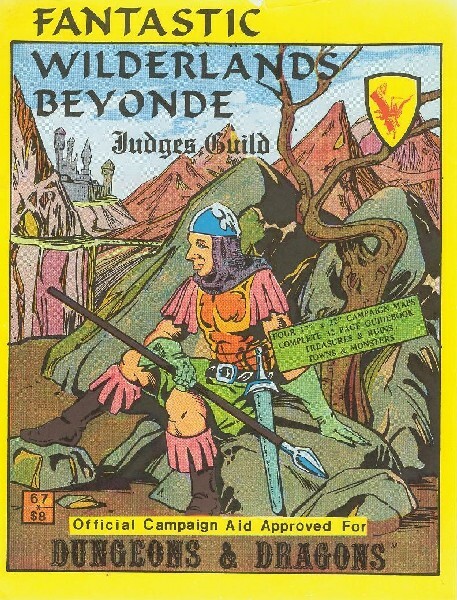 A 48-page booklet with full-color cover, the first of a new "Wilderness Series" of playing aids that maps in great detail the Judges Guild's City State wilderness area, using the Campaign Hexagon System. Twenty-two five-mile hexes, covering over 476 square miles of wilderness, are mapped out, as are the two villages in this area, Byrny and Trollslore. Keyed shops, inns and tavers, as well as histories and ways of life of these villages are provided. Wilderness encounter tables and a three-level mini-dungeon in the ancient mines of a lost civilization beneath Trollslore are also included. This is one of our more popular new playing aids, and has been created and officially approved for use with D&D. 22 hexs Map 1: 4222-23 4322-23 4420-22 4520-23 4619-22 4722-23 4821-23 4922-23, Lightelf, Palewood, Shipstore Harbor. The second book in the Wilderness Series, this 48-page work details the villages of Lightelf and Palewood, plus twenty-two five-mile hexes in the area of the Wood of the Gnomes, with maps of the villages. All maps are designed for easy removal. Includes histories tables, inhabitants, plus much more. 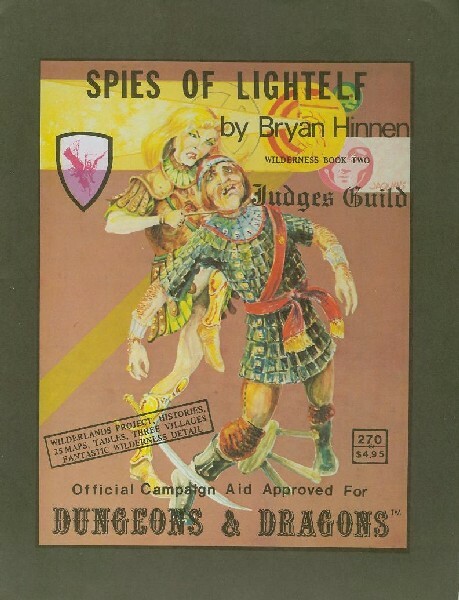 An Official Campaign Aid approved for use with D&D. 22 hexs Map1: 4623-24 4724-26 4824-27 4924-28 5022-26 5122-24. 22 wilderness hexes of Campaign Map 1 are detailed in these 80-pages along with description and maps of the major points of interest. Also included is a mini-dungeon for all who dare to brave the Sheild Maiden's revenge! Warrior Women plot to regain their home lost to the barbarous Skandiks, fearsome sea reavers all. Torn between their Gods of the North and the Druidic worship of nature, the Skandiks grow weak. Beware the cruel and evil Anti-Paladin who stalks this area looking for blood; he may be the death of you yet! Can you thread the perilous path to fame and riches in this saga of unforgettble Adventure? 22 hexs Map1: 3723-24 3822-25 3923-26 4022-25 4123-26. This exciting, fun-packed module brings to life part of JG's Campaign Map 1. 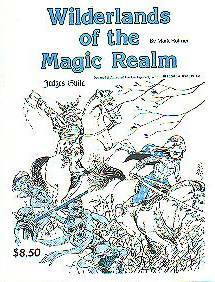 Numerous wilderness, village, and dungeon maps, complete with fascinating descriptions are crammed into this 48-page fantasy adventure! Fury mounts within the Village of Ashenshaft as racial tension between Half-Elves and Humans rises to a fever pitch. Beware the ancient sewers beneath the conflict-torn village; the Undead and their master lurk there! What makes the fearsome River Pirates different from their sea brethren? Is it blind hatred for the Invincible Overlord or the all-consuming lust for treasure? All these and many more fascinating endeavors await you in The Pirates of Hagrost! Hexs Map1: 0113-17 0213-17 0314-17 0414-16 0515-17 0615-16, Map6: 5114-15. Danger awaits on all Hallow's Eve, Witches of the world are gathering en masse, the peasants of the area are going to leave, unless you can stop the wicked Black Mass. 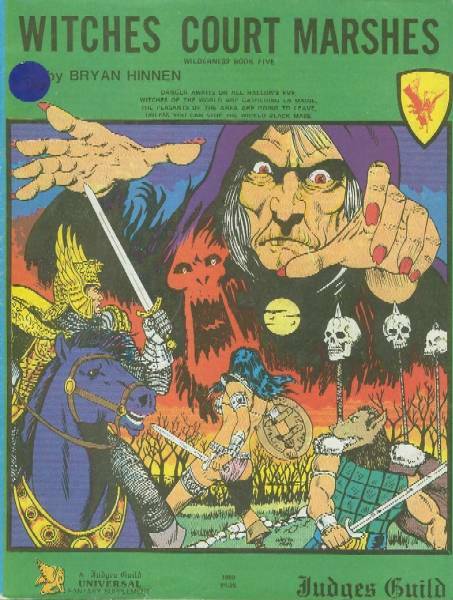 26-pages of maps detail the area around the Witches Court Marshes and the village of Grita Heath. 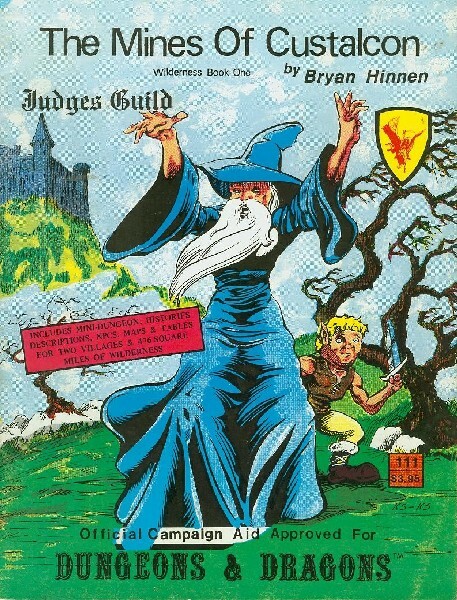 Complete description of the Witch character class. Many witch NPCs are detailed. Three level lair of Mordridda Dungeon under the Marshes contains fabulous wealth and dangerous adventure.